Thumbnail navigation. Give your slideshows a gallery feel with Thumbnail Navigation. Animated layer slides. Create CSS3 animated HTML Layer slides using the built in Drag & Drop WYSIWYG editor. Watch the Demo Video. 4 sliders in 1. 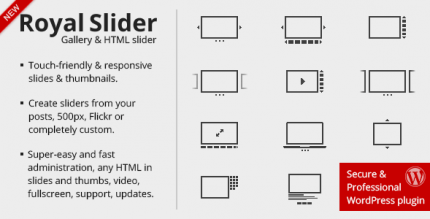 Choose from Flex Slider, Responsive Slides, Nivo Slider & Coin Slider! Post feed slides. Post Feed slides automatically show your latest blog posts, events or WooCommerce products in your slideshow. Check out the demo! Intelligent image cropping. Unique Smart Crop functionality ensures your slides are perfectly resized. No fuss. Developer friendly. 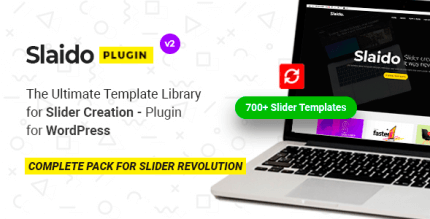 Meta Slider exposes its functionality through WordPress filters and actions, so you can customize Meta Slider just the way you want. Html overlay slides. Create completely customised HTML Slides using the inline editor. We’ve even built in over 50 awesome CSS3 transitions! Video slides. Easily include responsive high definition YouTube & Vimeo videos in your slideshows. Integrates with other plugins. Meta Slider plays nicely with other popular WordPress plugins including WooCommerce, the Events Calendar, and WPML. Seamless WordPress integration. 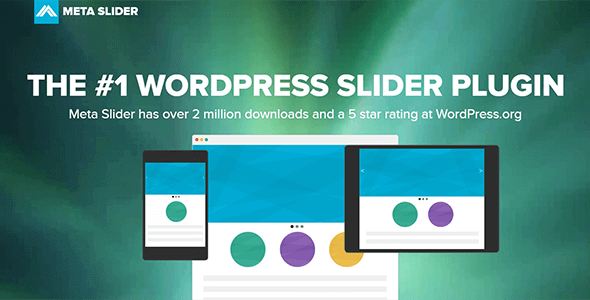 Meta Slider is fully integrated with the new style WordPress 3.5 Media Manager.